This atlas presents 233 virus diagrams selected for their scientific content, clarity, originality, and historic, didactic, and aesthetic value. 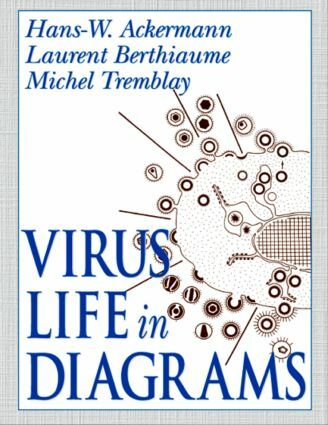 Virus Life in Diagrams assembles the many diagrams of viral life cycles, particle assembly, and strategies of nucleic acid replication that are scattered throughout the literature. The diagrams cover vertebrate, invertebrate, plant, bacterial, fungal, and protozoal viruses, viroids, and prions. They offer a dynamic illustration of the time course of viral life cycles not available in photographs. They also offer speculative elements that project the possible results of future research, as well as historical documentation that shows the development of virology. This valuable reference book for virologists, microbiologists, molecular biologists, geneticists, and students in these areas is the first atlas to compile illustrations of viral morphogenesis in one complete source.